Eliminate the confusion and take your first step towards controlling your retirement savings. If handing over control of everything you’ve worked so hard for isn’t for you -- a self-directed retirement may be exactly what you’re looking for. Whether retirement means world travel, working less without compromising yours or your family’s financial security, or having more time to volunteer for a cause you care about -- self-directed retirement can make it a reality. 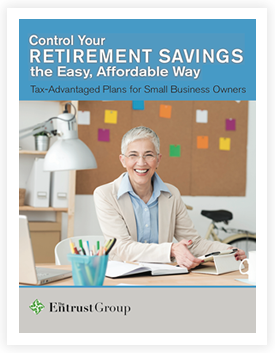 3 self-directed retirement plans available to small businesses, their eligibility requirements, and the important tax advantages that each has to offer. Key benefits of directing your own retirement savings, including access to asset classes such as real estate, precious metals, and private businesses. How to self-direct your own retirement and where to find the resources to help you do so effectively and within the rules. Download your free self-directed guide for small businesses.